Oral care for infants can turn out to be pretty complex matter if you do not have right information. There are several internal and external factors which you will have to take into the account if you want to care for the oral health of your infant. Now, you may think that initial teeth of your infant are going to fall off anyway, the danger of tooth decay wouldn’t only affect their oral health at that time but the effects of this bad situation can have their long lasting effects which can make oral health in the time of erupting of adult teeth pretty vulnerable. Having that said, the mothers have to keep in mind that their oral health is also the factor which can impact oral health of their infants. Make sure that you are taking care of your own oral health because there are specific types of bacteria which can transfer from mothers to their babies, leading to the development of oral health disorders in babies. These bacteria are mainly referred to as "streptococcus mutans". In mothers, the prevalence of these bacteria can happen due to bad dietary habits and poor oral hygiene. So, you have to make sure that you are eating right foods and keeping your oral hygiene in proper check. Research suggests that childhood caries and tooth decay in initial teeth are the most common oral health disorders across US. However, these diseases are very much avoidable too. The need is to work on the right approach in order to avoid these conditions. How can you avoid dental issues in your infant? In order to prevent dental and oral health issues in your babies and kids, you have to make sure that you are working on preventive measures mentioned below. Your own dental appointment comes as the first thing when it comes to taking care of your infant’s oral and dental health. As mentioned above, there are the bad oral bacteria which get transferred from mothers to infants. So, you can work on your dental hygiene in ideal way to prevent dental health of your child as well. Take your child to the pediatric dental care clinic as soon as your child’s first birthday. 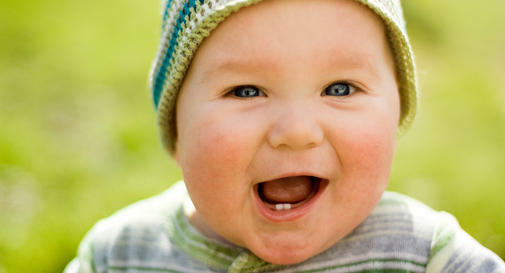 At the time of first birthday, the initial teeth usually start erupting. At that time, proper dental care can lead to effective prevention of oral health issues in your kids. When there are no teeth in the kid’s mouth, you still need to clean the gums of your kids. Remember, plaque buildup can still occur on the gums, leading to the early risk of oral infections. When your kid starts growing, teach him/her about the good oral habits. Your child may still need your help in oral hygiene but your teaching is going to tell your child about the importance of dental and oral health.